This book is for those who know what it’s like to be sent home to die with the words, “We’ve done everything we could…”. This book is for all those who feel helpless to restore to life their loved ones who have been diagnosed with an incurable disease. 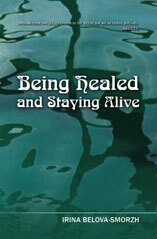 This book is for all those who are exhausted by endless medications and hospital visits. This book is for those who have been attending church for many years, but continue to struggle with disease in their bodies, frequently visit the doctor, spend a great deal of money on surgeries and do not have a revelation that it is not the way it should be. This book is for those who wish to learn how live healthy and stay healthy: without sickness and pain, without worrying about what the next winter’s flu may bring, without helplessness and despair.